Started off 2019 by making dinner for the next 3 nights! It came out so delicious, I wanted to share. As you may know, I have been a vegetarian for 20+ years, my husband is not. I eat high vegan. But I am not 100% vegan. This meal is a great example of how I make almost the same meal but different protein for each of us. It is gluten-free & dairy-free. I have a couple avocados to slice up right before we eat each portion–but I don’t like adding avocado to the meal in advance. 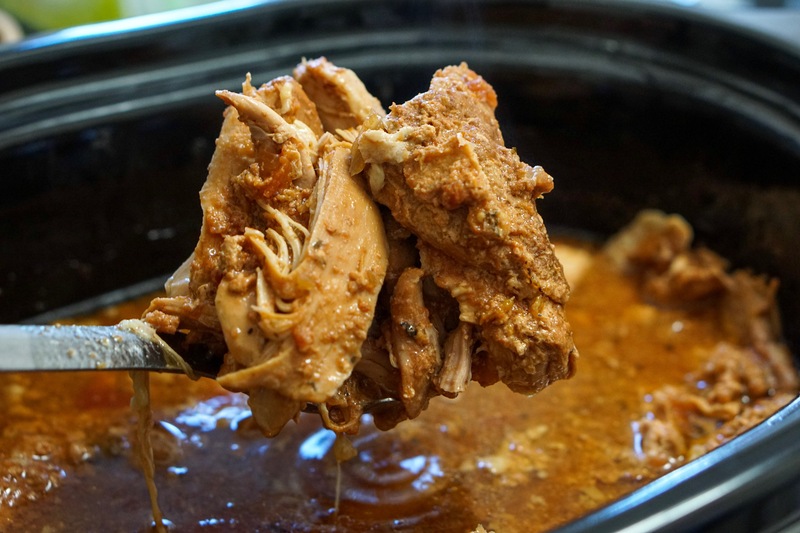 Heat in covered crockpot on low, overnight. I doubled the batch so my husband could have extra chicken for his lunches. (4 pounds chicken + 2 jars of salsa) and cooked it for about 15 hours! !—which is total overkill—but Jonathan said it’s super yummy! 2 pounds could easily cook on low in 5 hours and would make for 3-4 servings for a hungry/active person. Note: We usually buy 2 pound bags of frozen chicken from Trader Joe’s. Cut tofu into cubes. 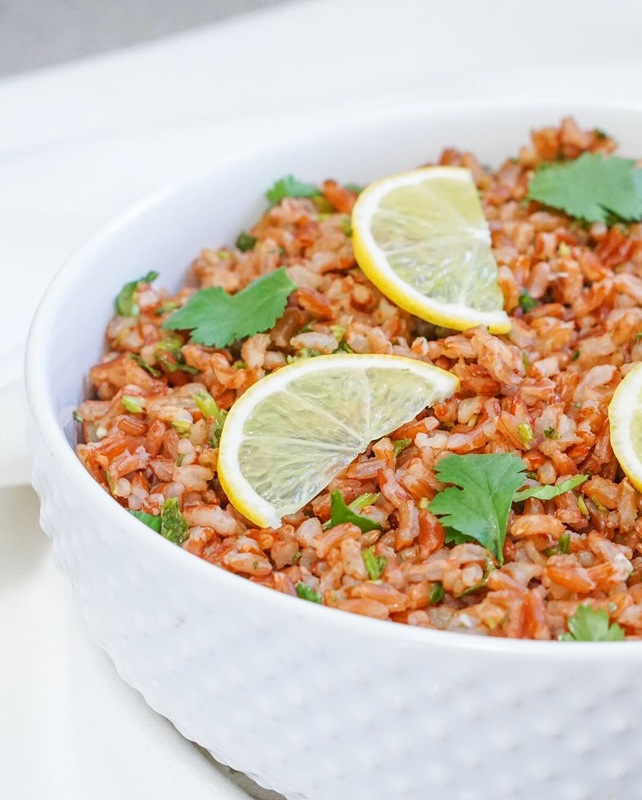 Marinate cubes in taco seasoning, lemon juice & tamari for 30 mins. Sauté until heated through. Stirring a few times. Set aside. I cooked 2 cups of basmati rice + 3 cups of vegetable broth in my instant pot (high pressure for 4 mins) Then I did the natural steam release for a good 20 mins after it finished pressure cooking. Came out perfect. I served approximately 1/2 cup of cooked rice with the tofu and about 1 cup of rice with the chicken. 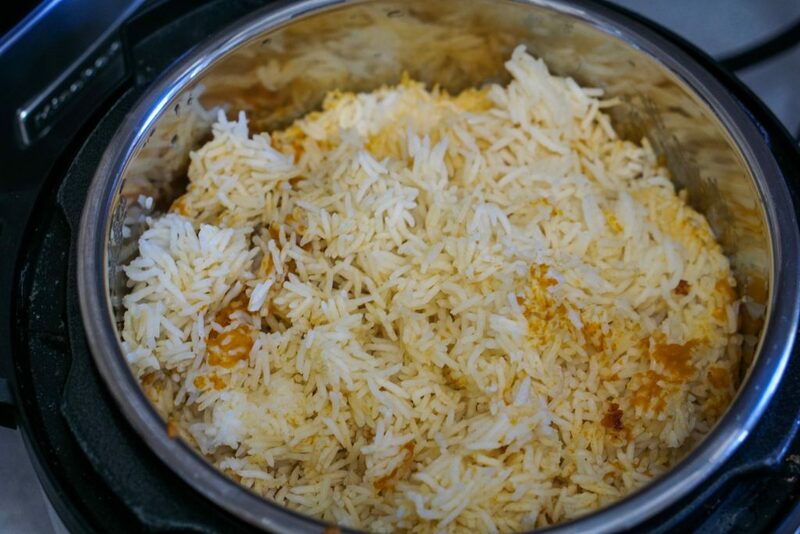 *Jasmine Rice is our favorite for this meal, but TJ’s was out so we had Basmati instead. Quinoa is also an excellent option! Once you have diced the veggies & marinated the mushrooms. Add 1/2 cup veggie broth to skillet. Add onion, sauté 1 min. 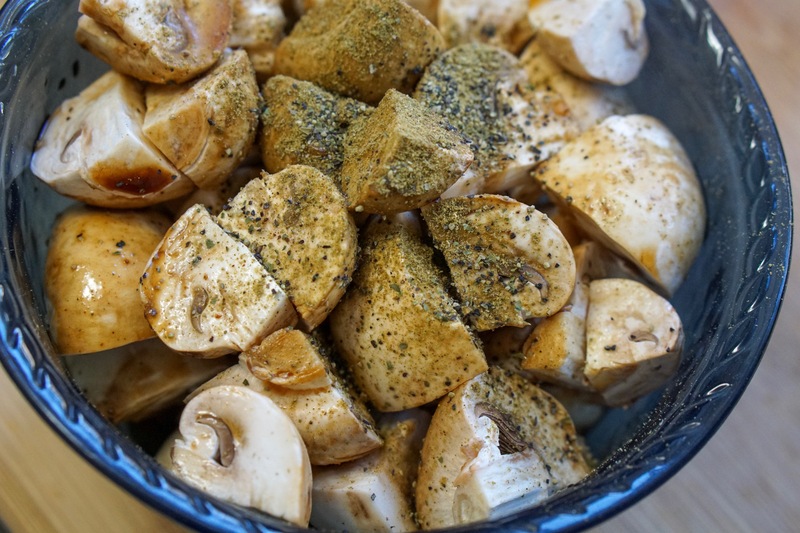 Add mushrooms, sauté 2 mins. Add bell pepper, sauté 1 min. 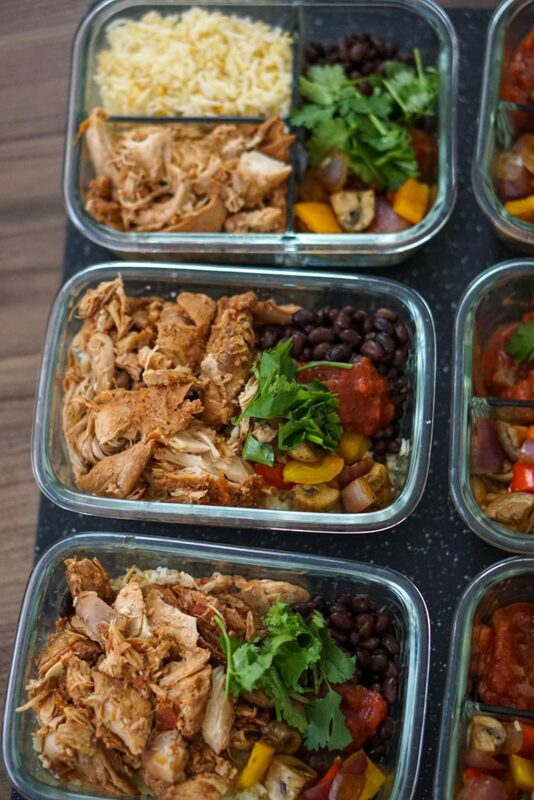 Tip: When meal prepping, you want to under-cook the veggies slightly because they will be reheated again either in the oven or microwave and that will cook them more. Rinse and drain 2 cans of black beans. I added a spoonful of jarred salsa to each dish. No right or wrong way to do this! See my pics below! 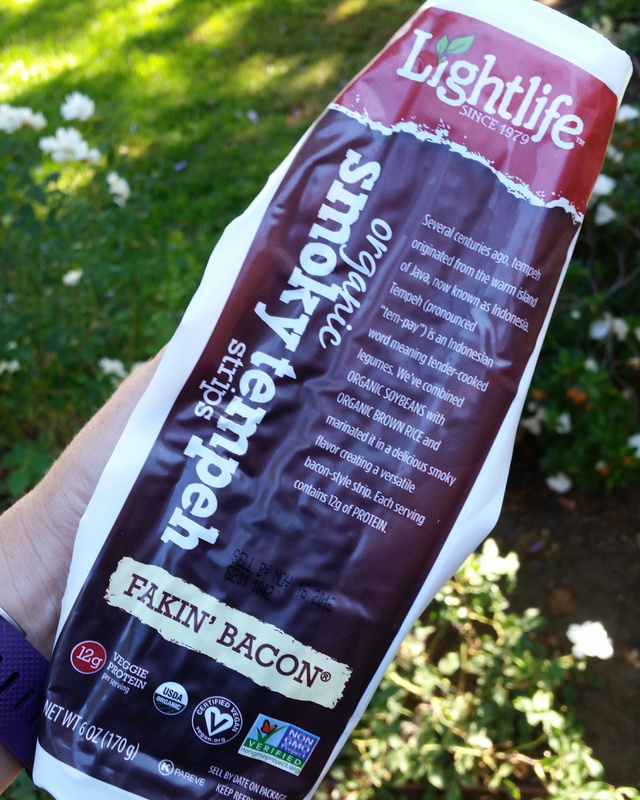 There are many plant based bacon alternatives out there. Some of my favorites are tempeh bacon, mushroom bacon, and this easy to make coconut bacon! You can find all the ingredients at your local Trader Joe’s. 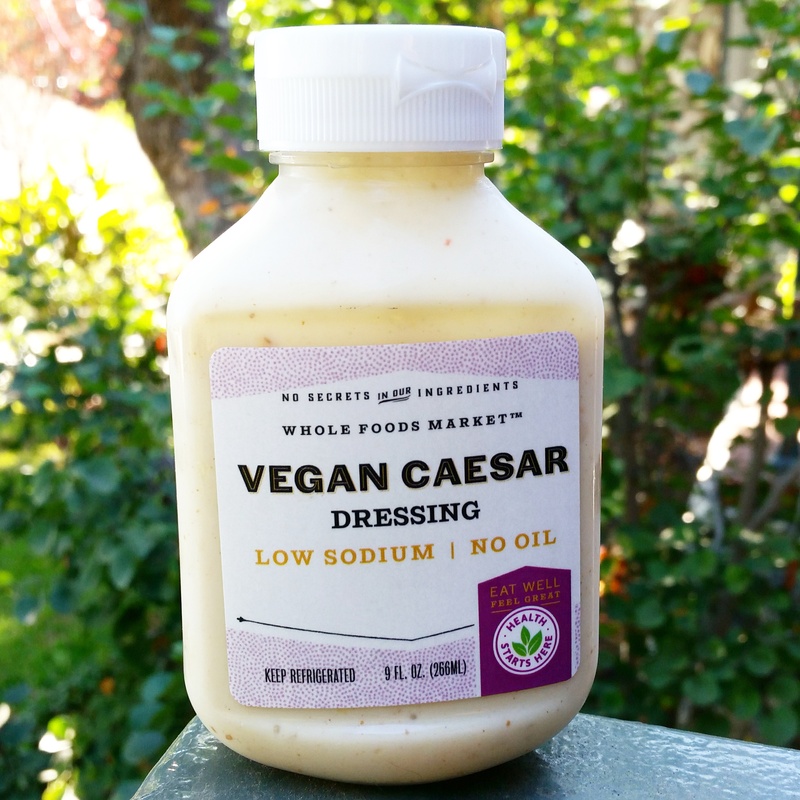 I use this in salad, on avocado toast, in veggie sandwiches! You can sub the coconut aminos for Tamari/Soy Sauce. And if you want a less sweet version–leave out the maple syrup. Bake 325°F for about 15 mins. Stirring a couple times. Try not to eat it all like popcorn. 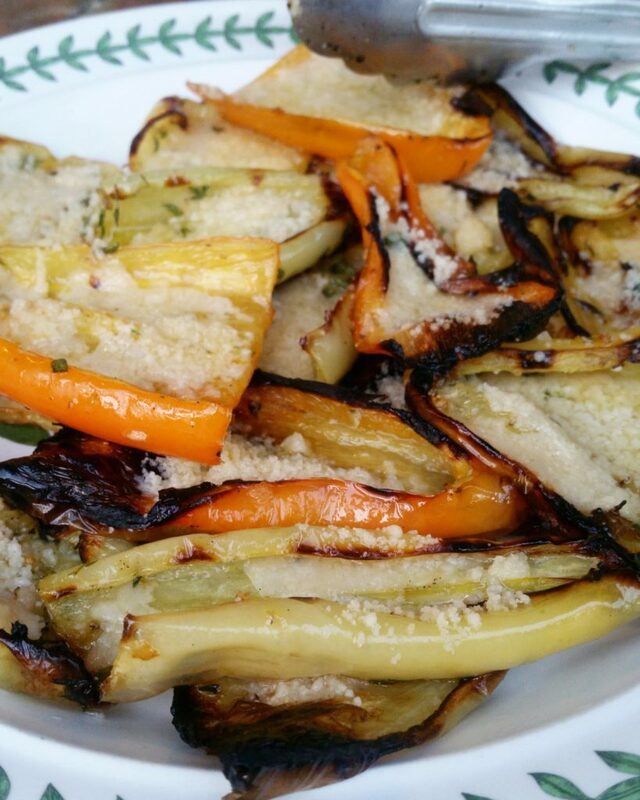 This entry was posted in coconut, Gluten Free, Vegan, Vegetarian. *you can omit the olive oil all together if you’d like. Most of us are used to oil in salad dressing—but we could also get used to no oil in salad dressing. 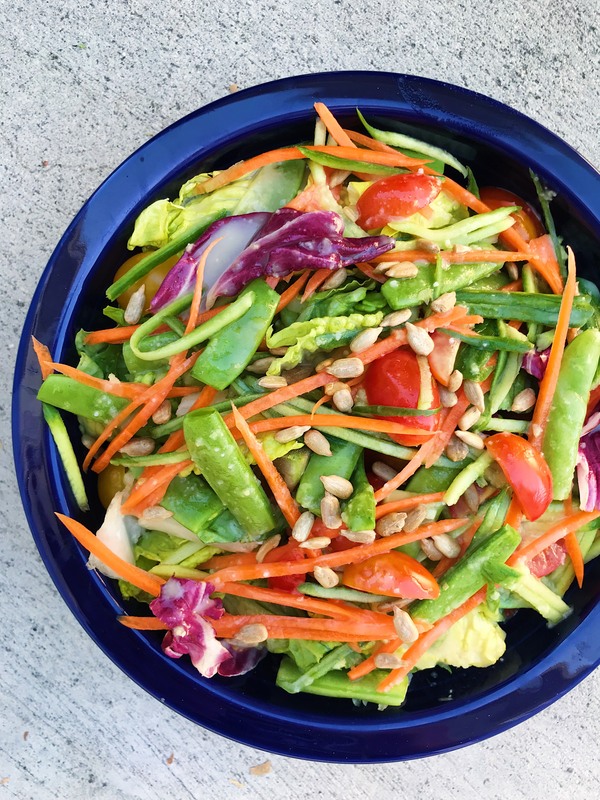 You can always try making this dressing without oil and giving it a taste. 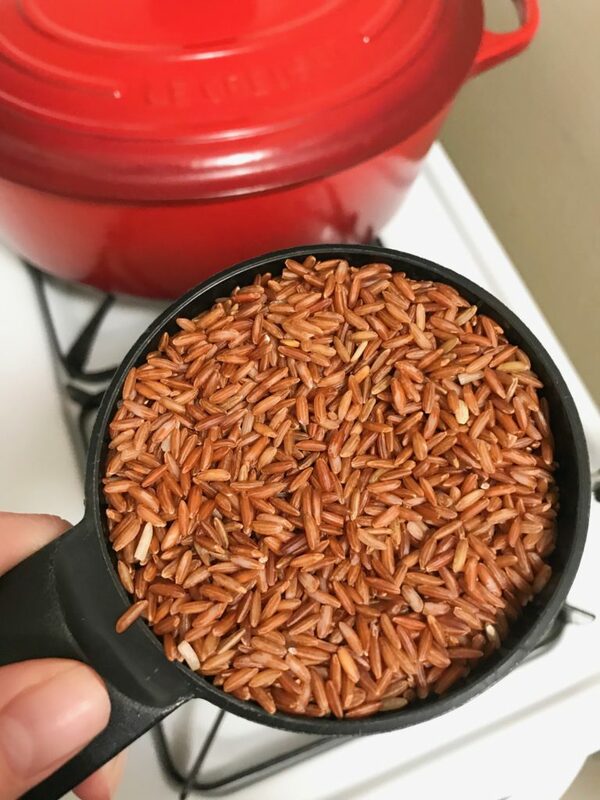 If you feel like it needs oil, add 1 Tablespoon at a time—up to 1/4 cup. 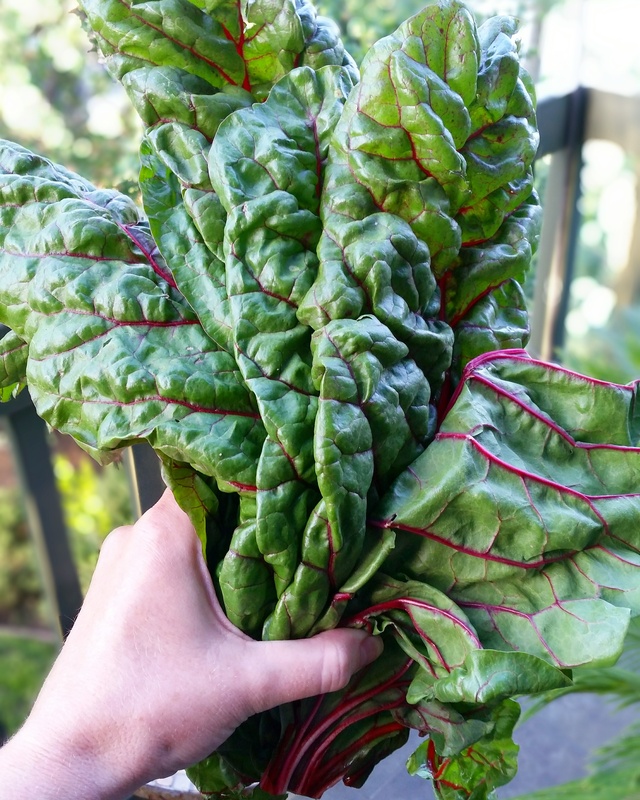 Wash and cut Swiss Chard & Kale. I like to use a salad spinner to make sure it gets nice and dry. Place in a mixing bowl. 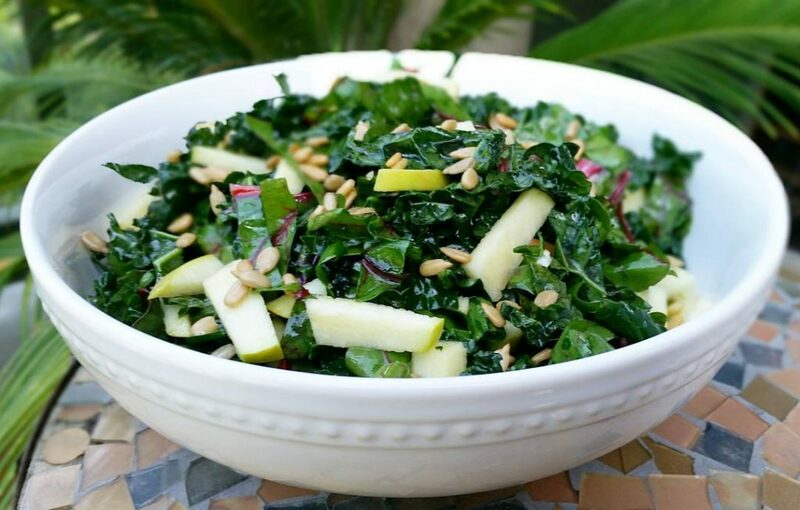 Massage salad dressing into Chard & Kale. Go easy on the dressing because it’s pretty powerful. 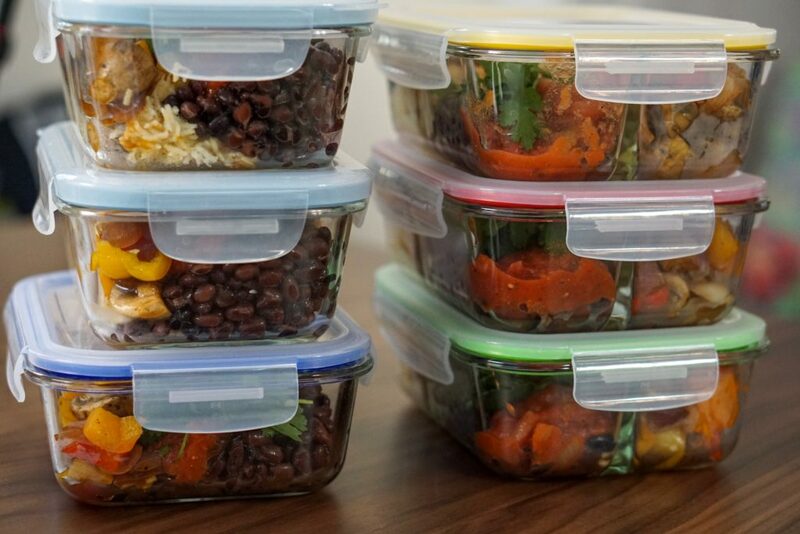 Save what’s left in fridge up to 5 days. 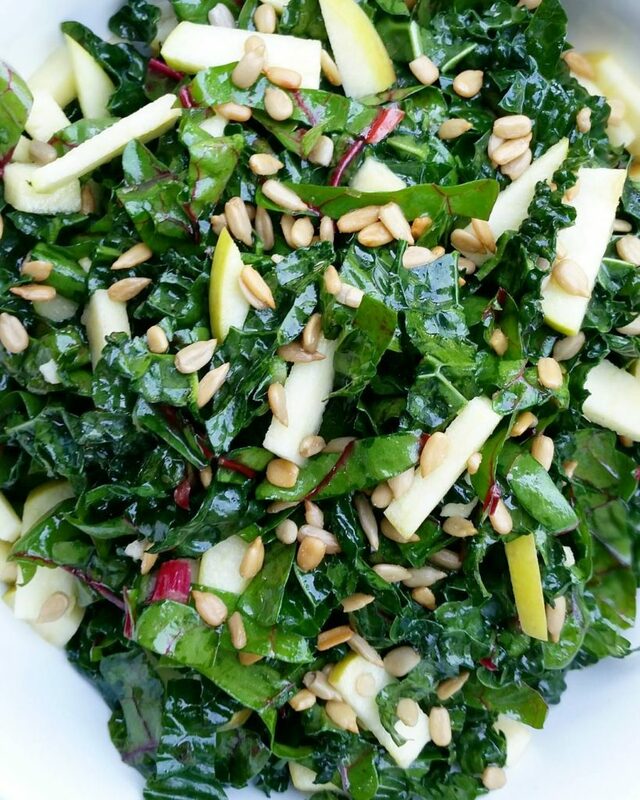 Sprinkle with diced apple and sunflower seeds. 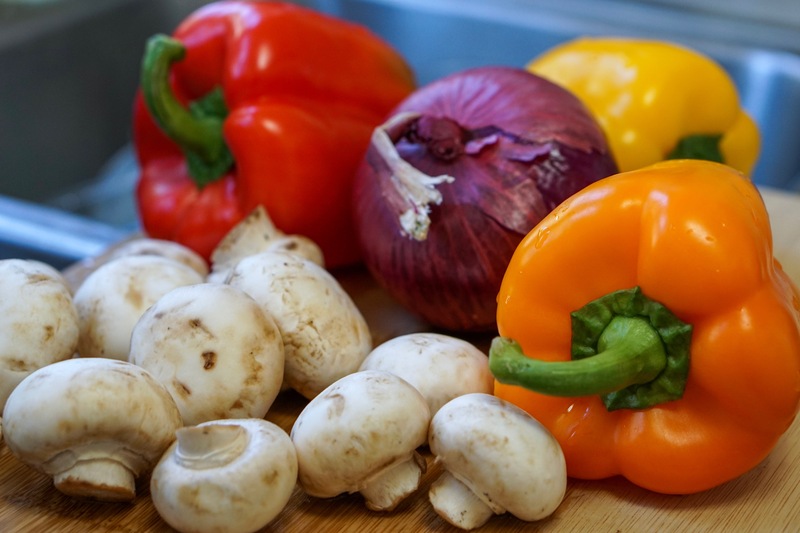 These are some seriously nutrient dense ingredients. You can use any kind of apple you’d like. I recommend a crispy one. I used Fuji because that’s what came in my farm box this week. But any kind would be great. 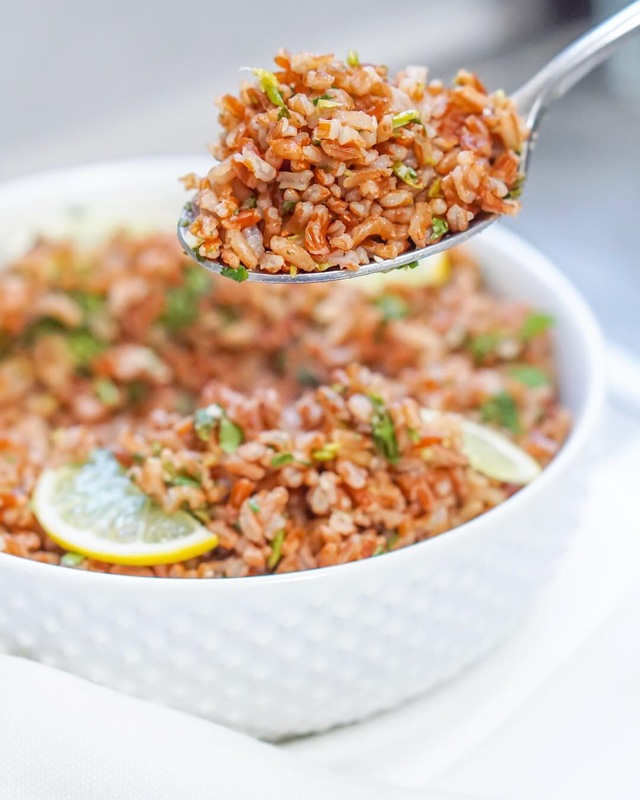 The sunflower seeds add an additional 7 grams of protein + Vitamin E, Copper, Vitamin B1. 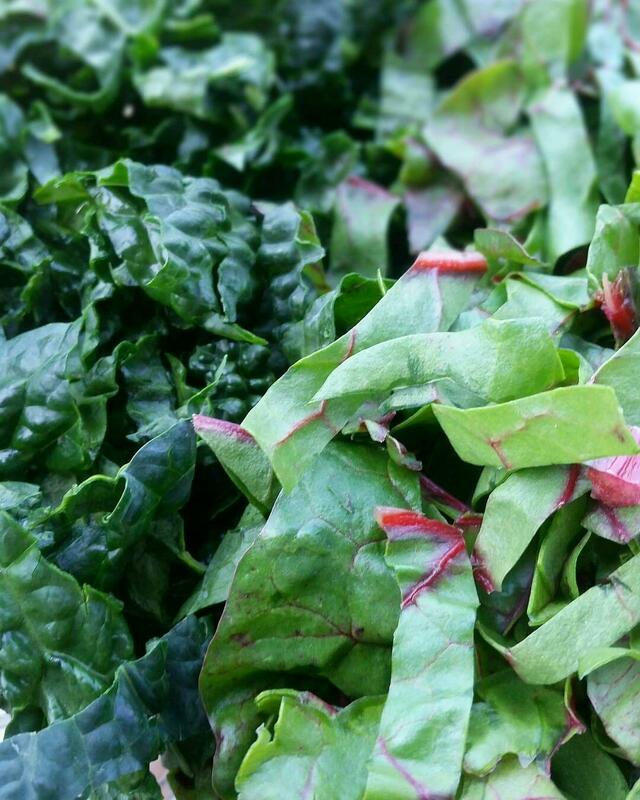 They also provide a decent amount of manganese, selenium, phosphorus, magnesium, vitamin B6, folate and niacin. I have so much to say, but I have a hungry baby who needs to nurse. I’ll be back soon! 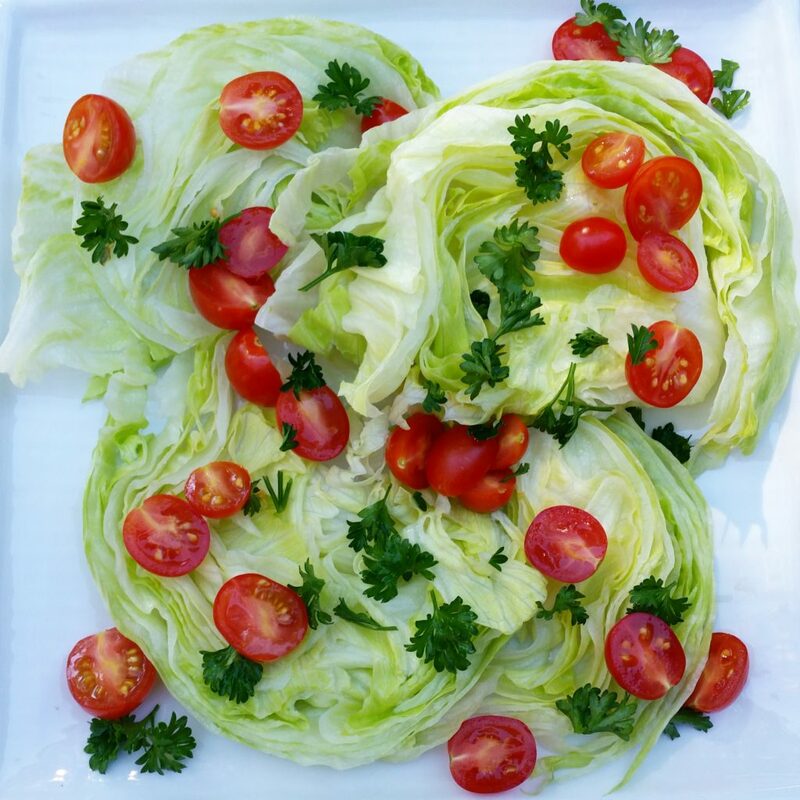 This entry was posted in Bloat Busting, Detox, Kale, Salad Dressing, Salads, Uncategorized, Vegan, Vegetarian. 1) It always has bacon, which I don’t eat. So, problem solved. 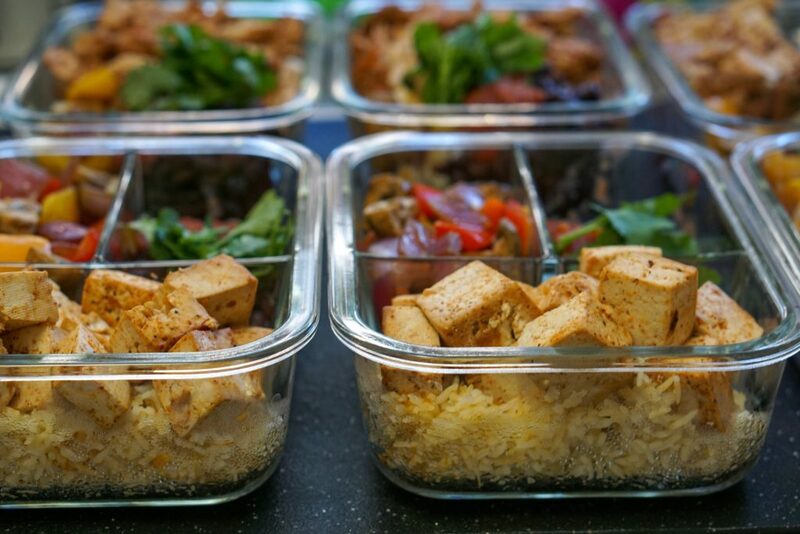 All my ingredients are Certified Organic, Meat-Free and Dairy-Free. First things first. Lets maximize our territory for toppings. 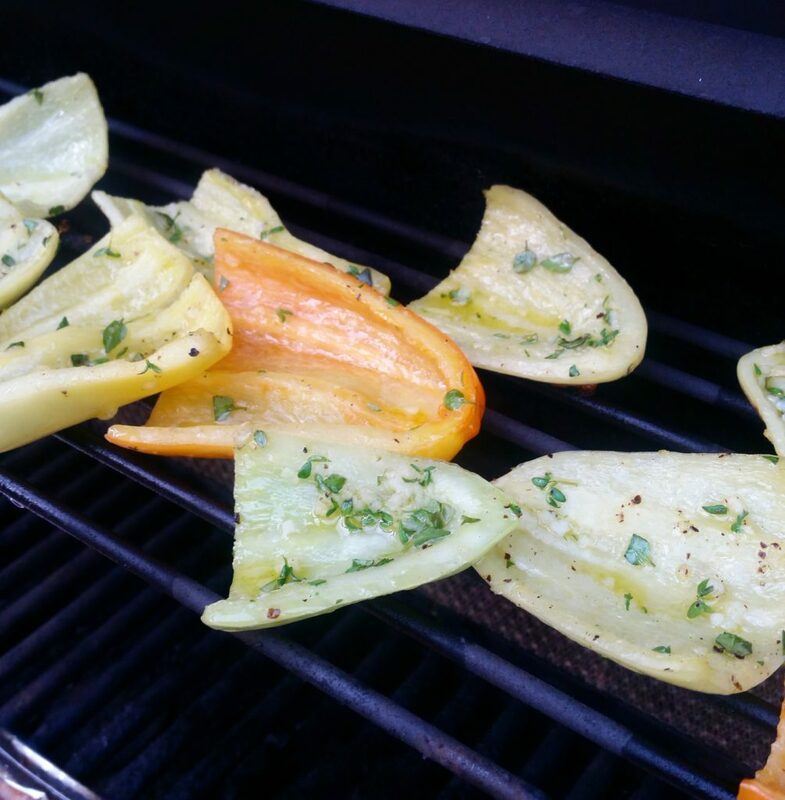 Instead of slicing your iceberg in wedges. Cut the stem out. Place the Iceburg stem side down on the cutting board. Then slice as if you were slicing a loaf of bread. Next, Place Toppings on your lettuce. 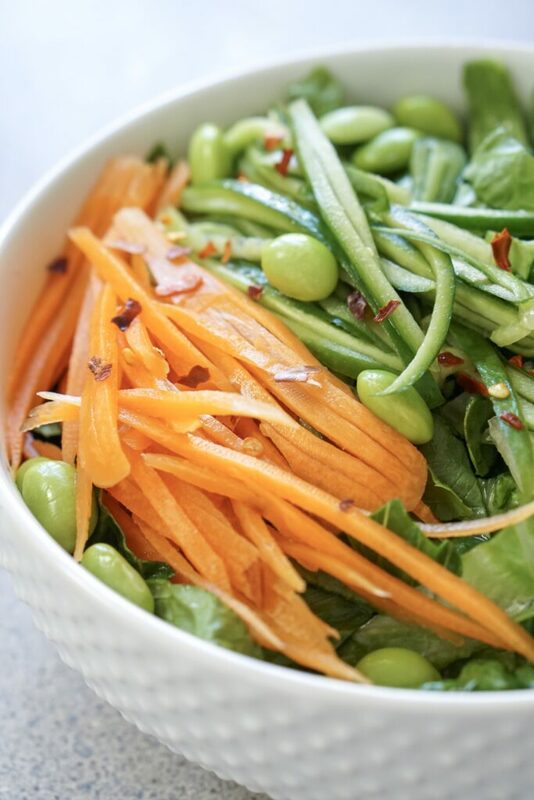 With heavy fall/winter foods coming our way, sometimes it’s nice to have a light & simple salad. This is so refreshing. 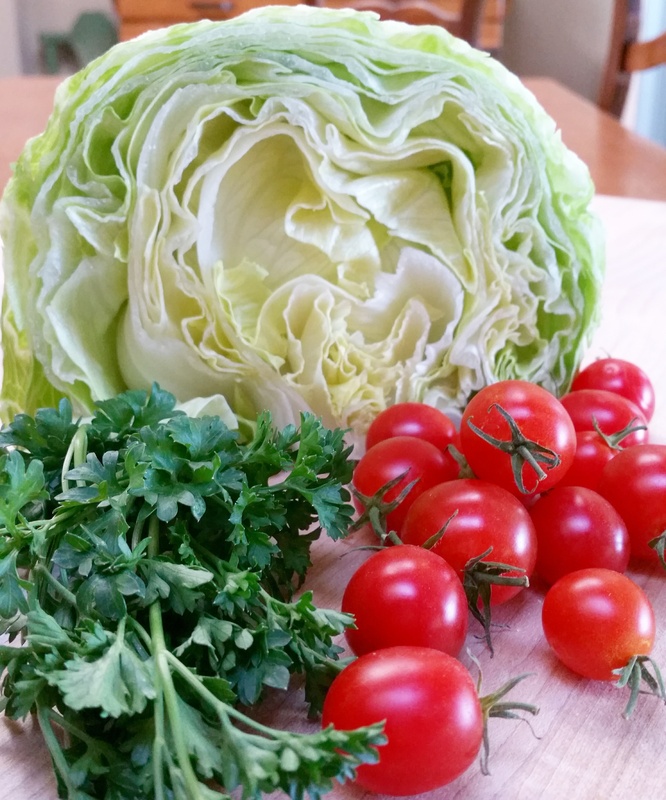 I used to avoid Iceberg lettuce like the plague…thinking it doesn’t have any nutrient density. 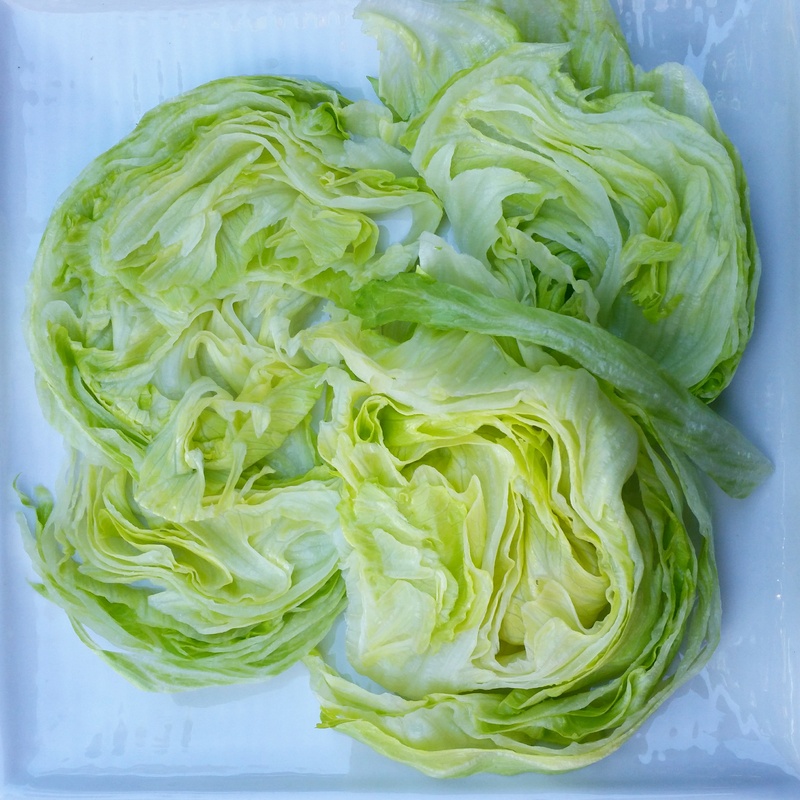 But good news, Iceberg lettuce is an excellent source of vitamin A, vitamin K, and vitamin C. It is also a good source of thiamin, vitamin B6, and folate (vitamin B9). 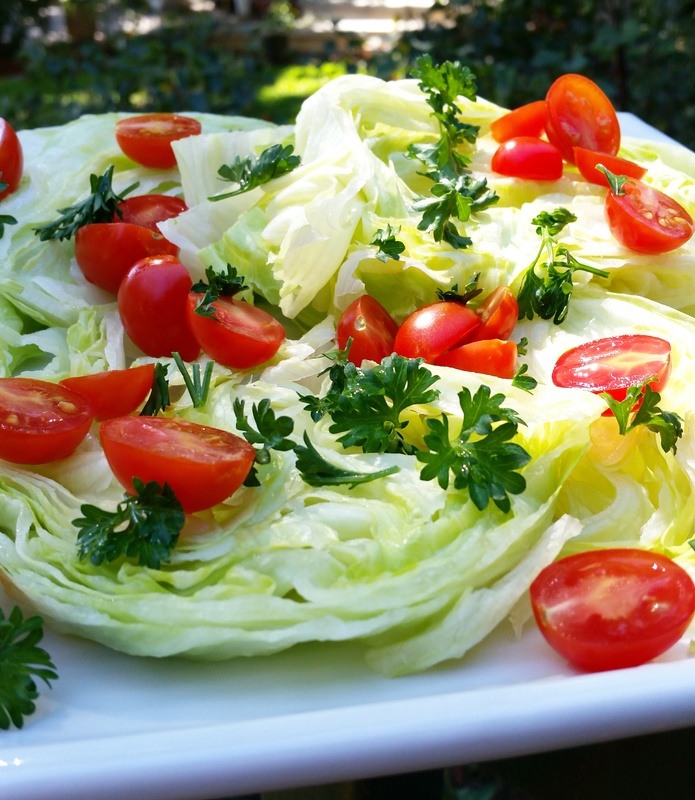 Iceberg lettuce contains 14 calories per 100 grams. It mainly contains water and dietary fiber. All things a pregnant mama needs. 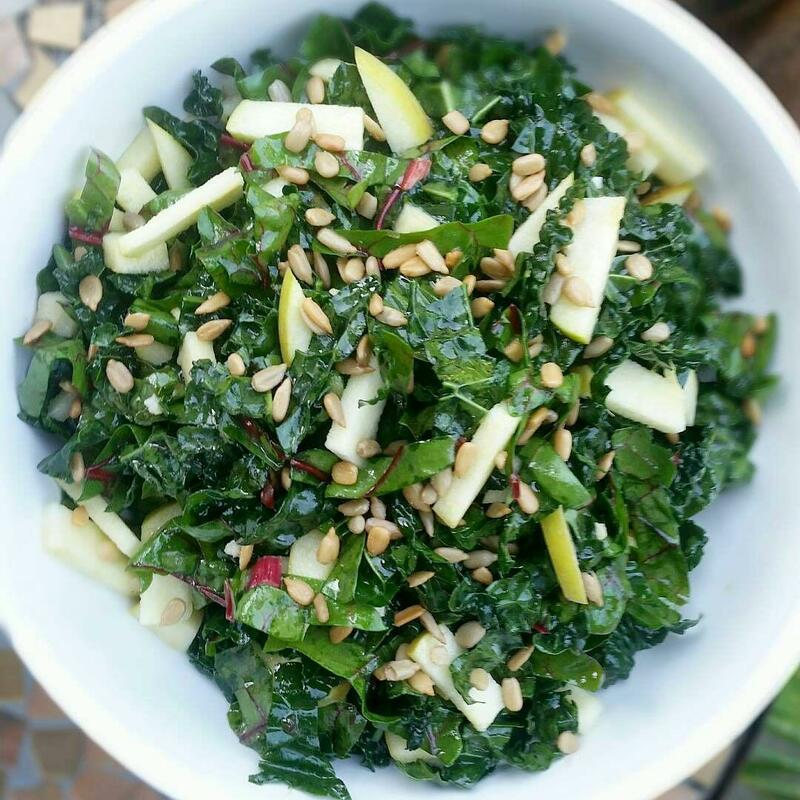 If you try out this recipe or any of my recipes–Take a pic & tag me @cloversandkale on Instagram! 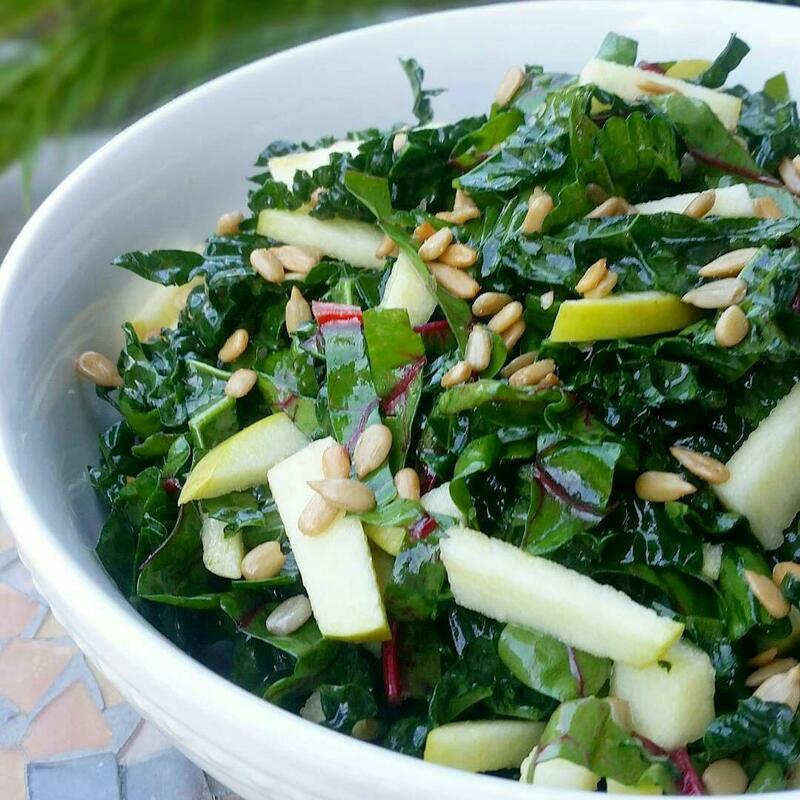 I love to see your #cloversandkale creations! People always ask me how I get my protein since I am a vegetarian. This salad has 30 grams of protein! This is a typical lunch for me. Tempeh pronounced [tem-pay] is a fermented whole soybean product. 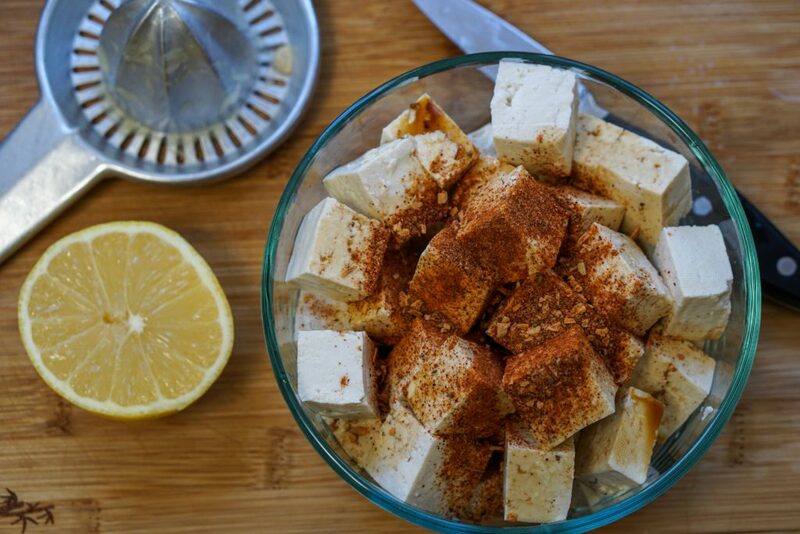 Think of it as tofu’s less processed & healthier sister. 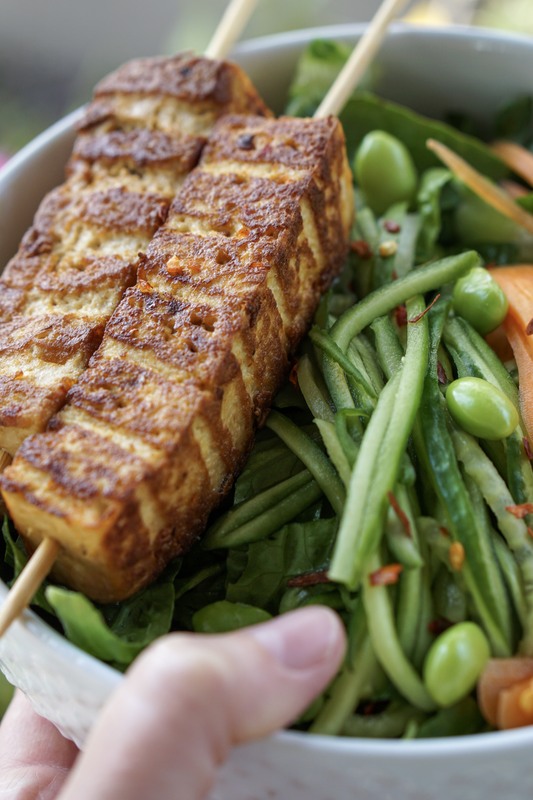 Tofu contains soy isoflavones, which mimic natural human estrogens (which can be harmful to some people). 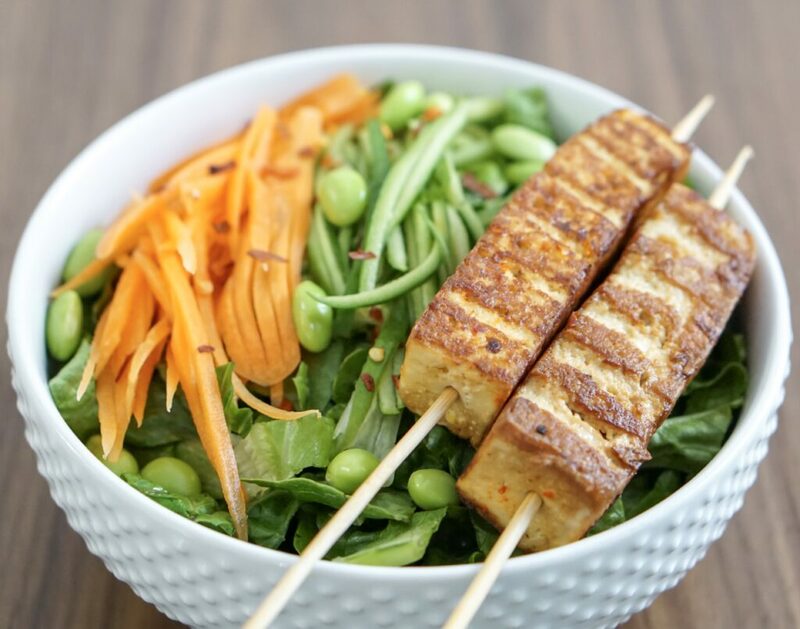 Tofu also has phytic acid which is difficult to break down and get this, it can interrupt our body’s ability to absorb calcium, copper, magnesium, iron and zinc. Um, no thanks. 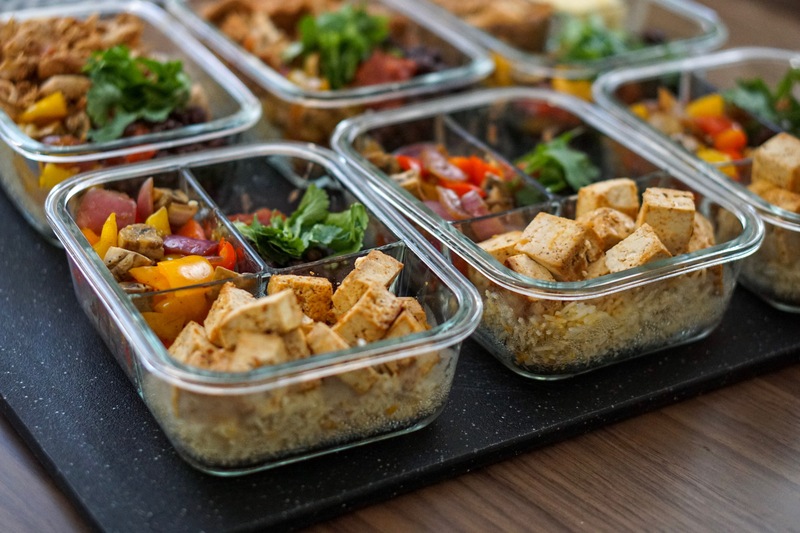 The soy protein in tempeh is easier to digest thanks to the fermentation process. 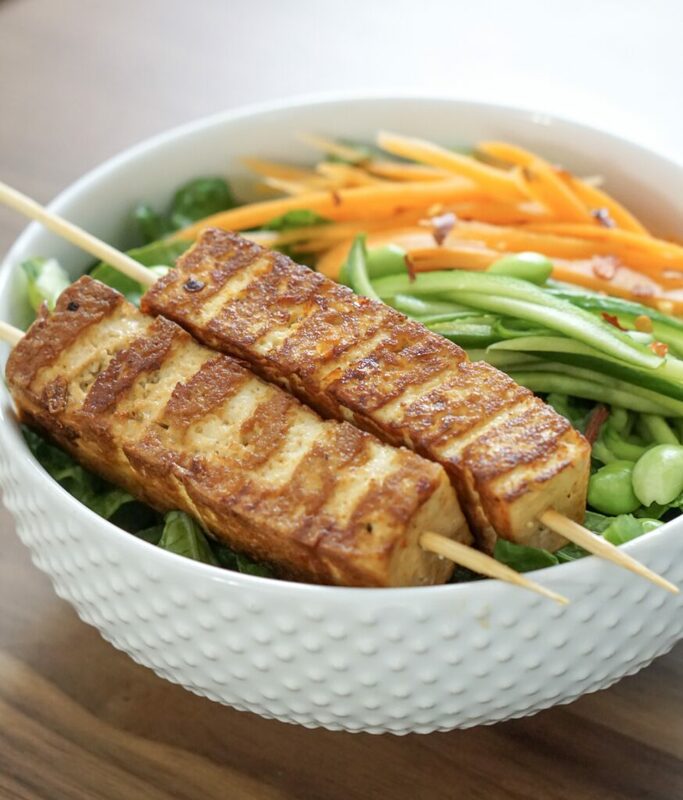 Tempeh’s fermentation process and its retention of the whole bean give it a higher content of protein, dietary fiber and vitamins compared to tofu, as well as firmer texture and stronger flavor. Hi, veggie bacon!!!! 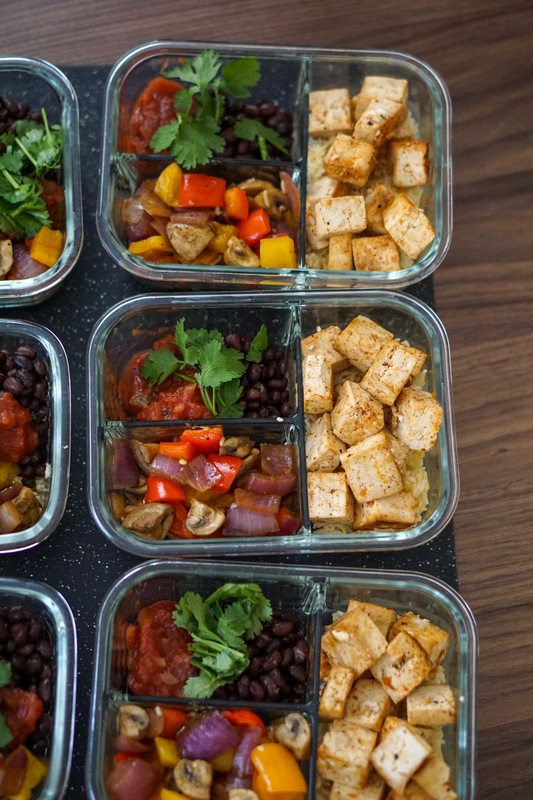 Although Tempeh is higher in calories than tofu, I think it is the superior form of soy. Now back to this delicious salad. 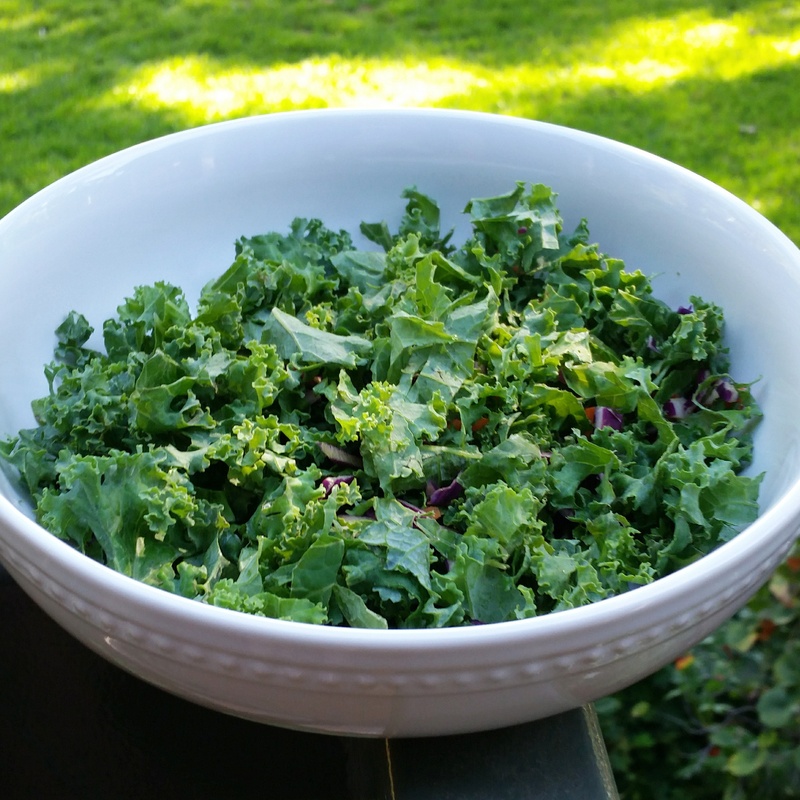 Once Kale is washed and cut, massage your salad dressing into it. Yes. You read that right. Give your kale a massage. It will break down the bitterness and make it taste SO. MUCH. BETTER. Set aside. 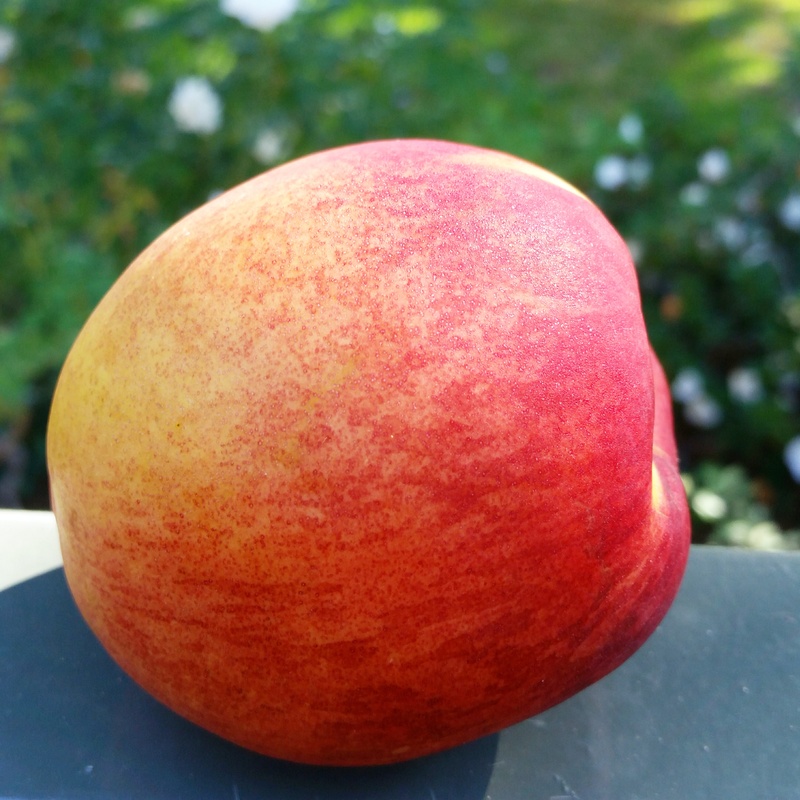 Slice your Nectarine. Set aside. 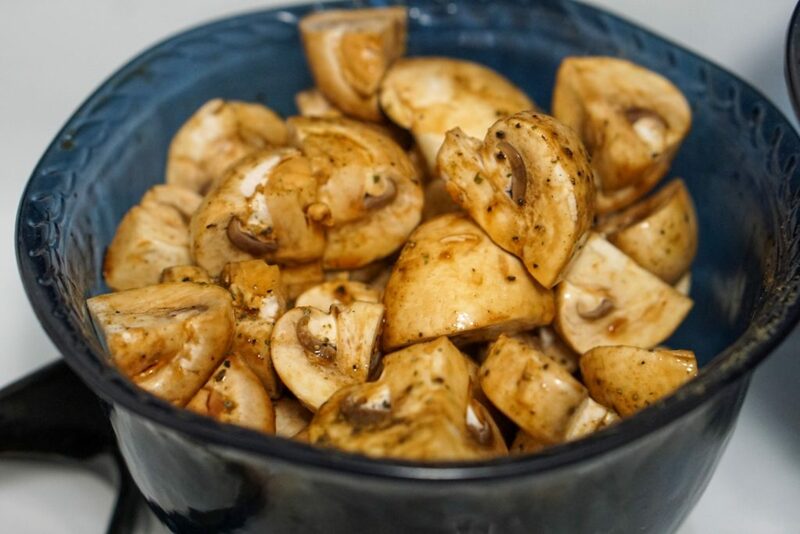 In a medium size skillet, spray or line with your favorite cooking oil. I used avocado oil. 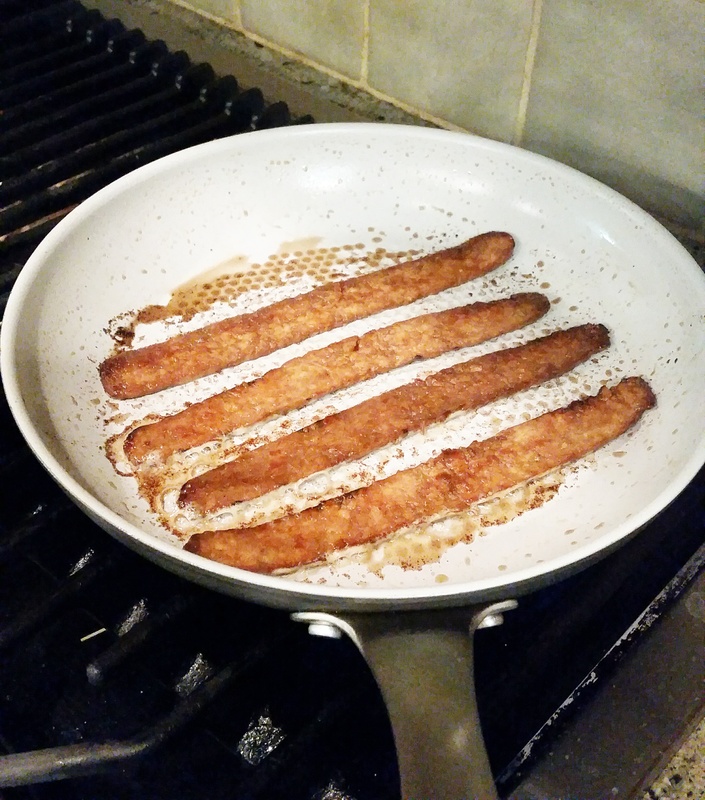 Then heat your tempeh bacon. I rarely cook it until crispy because it uses more oil than I like. But if you want it crispy, you do you. Follow the instructions on the package. 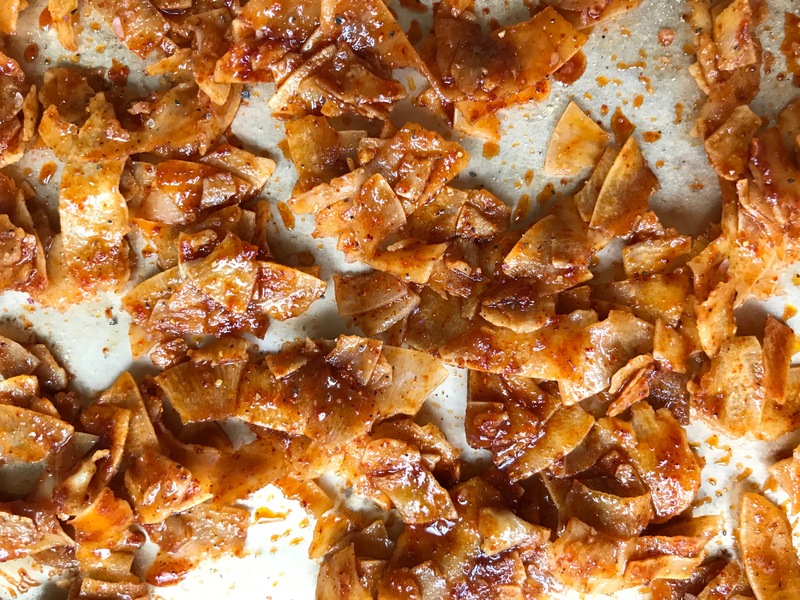 Once it’s cooked, cut or break it into bite size pieces. 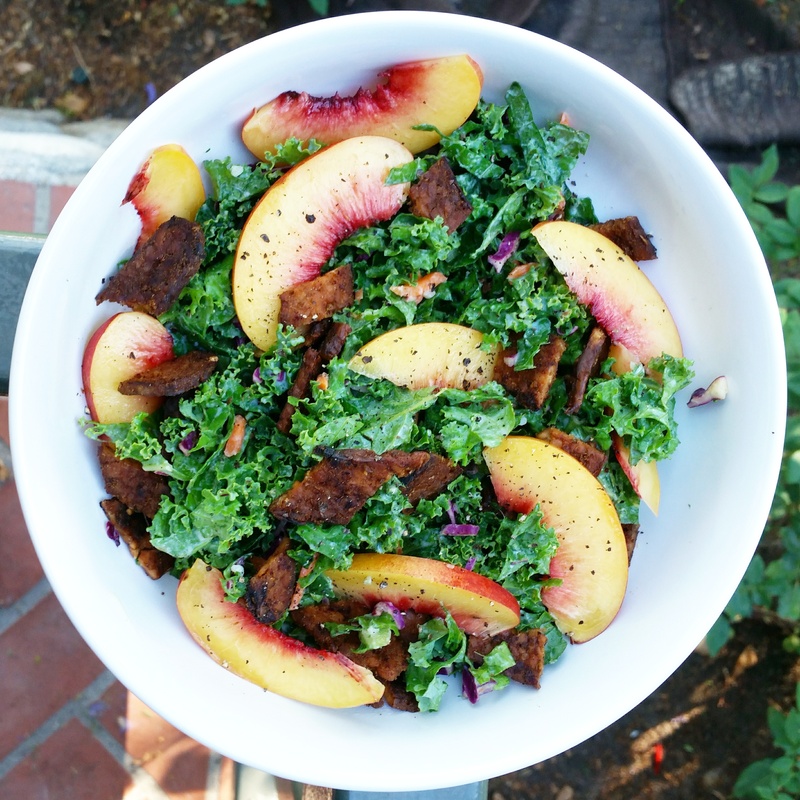 Get your dressed kale, and toss in all your fruit & bacon. Season with fresh ground pepper. P.S. It’s not like I never eat tofu. I just prefer to eat Tempeh if it’s an option. I try to limit my soy intake to 1-2 servings per week. 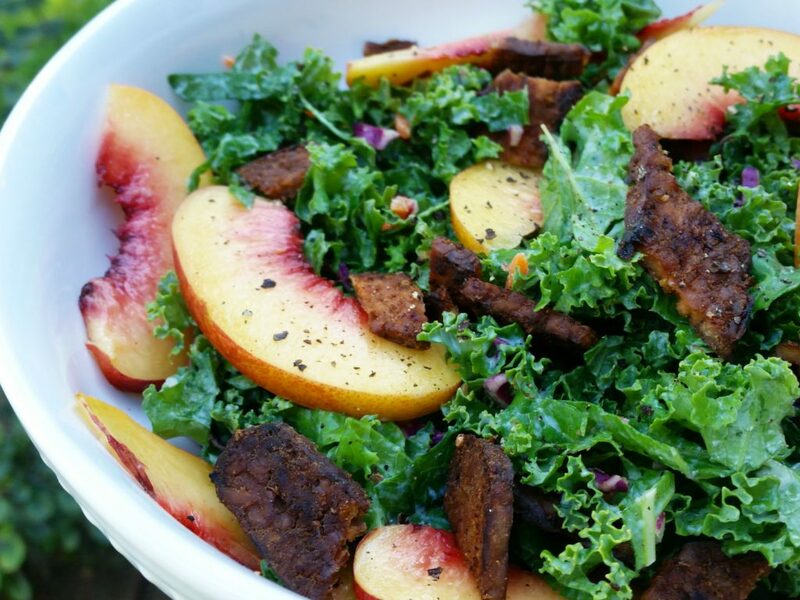 This entry was posted in Kale, Meatless Monday, Recipes, Salads, Vegan, Vegetarian. So the word “detox” is thrown around a lot. 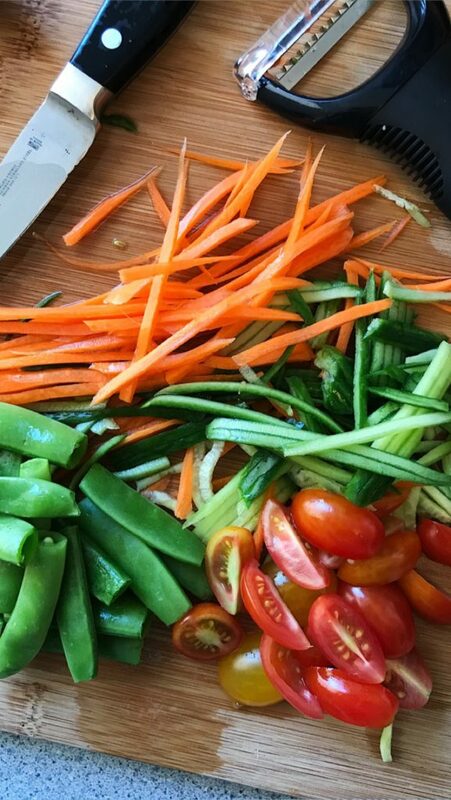 Detoxing is trendier than Kylie Jenner’s Instagram feed. I just want to say that there is a difference between detoxing and tonifying. The easiest way to break it down is detoxification means removing toxins from the body to support it functioning. Tonification on the other hand, involves “nourishing” or “feeding” our body systems so that they can function optimally. impart tone to (the body or a part of it). increase the available energy of (an organ, part, or system of the body). I like the idea of tonificaiton because I believe our body has a natural ability to “detoxify” …that’s our liver’s job, our skins job, and our urinary systems job! I am more concerned about feeding my body foods that make it function at its best vs. doing crazy cleanses—example: drinking teas that make you sh*t all day long, magic pills, strict cleanses that make you binge eat the day you finish and re-toxify your body with drive-thru french fries, a Bud Light and a huge piece of lasagna at Grandma’s house. Not that there is anything wrong with french fries and lasagna, occasionally. My main point is, you DON’T need to DEPRIVE yourself to the point you’ll go off the deep end with naughty foods. From my personal experience, and what I’ve seen friends and clients go through…cleanses (like fad extreme weight loss diets) are unrealistic and we end up re-toxing within days of ending the expensive/torturous cleanse. And if we lost a little weight during the cleanse, it’s all back on within a week or 2. Sometimes within 48 hours! Here’s my alternative advice for those of you wanting to detox. Instead, start incorporating NOURISHING, REAL, PLANT-BASED food into your every-day-eating. Have a smoothie with fruit & greens for breakfast. Don’t drink beer everyday after work! Instead, sip on a kombucha while you’re cooking dinner. 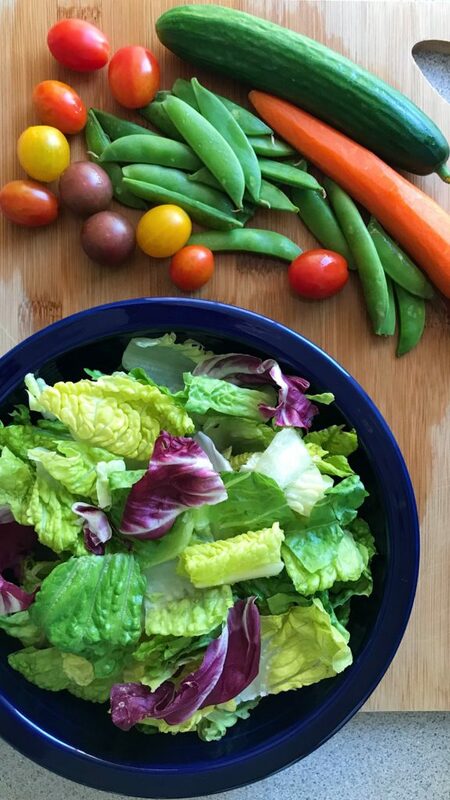 If it’s the end of the day and you really haven’t eaten well–have a lean, clean and green dinner = protein + unlimited greens & veggies. Then, you won’t feel the need to detox! Again, this is all my personal opinion and I’m not a doctor. 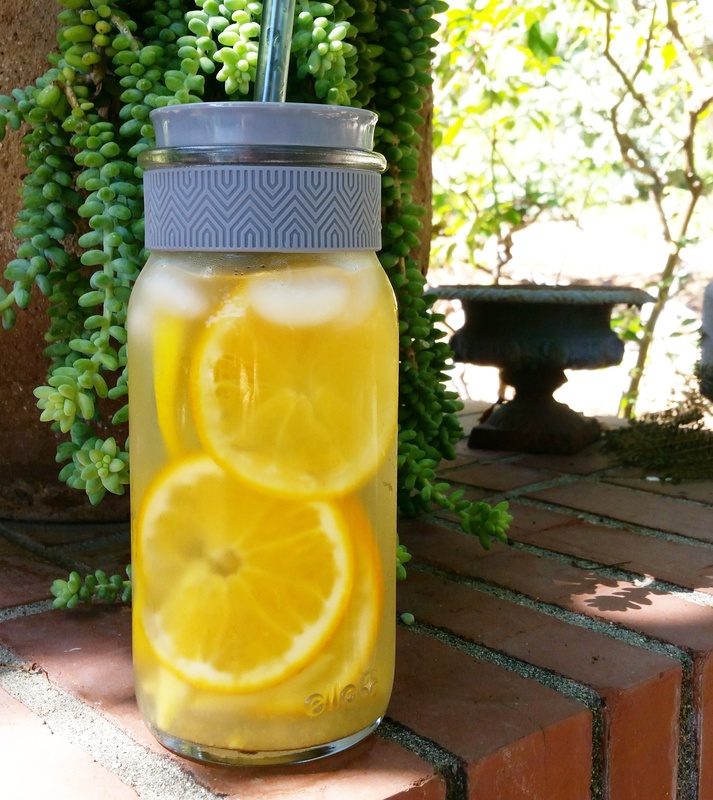 This entry was posted in Detox, Juice, Smoothies, Weight Loss, Wellness. Gypsies have a thin skin and thin walls compared to other peppers. This means they cook pretty fast. They fall into the category of sweet peppers. 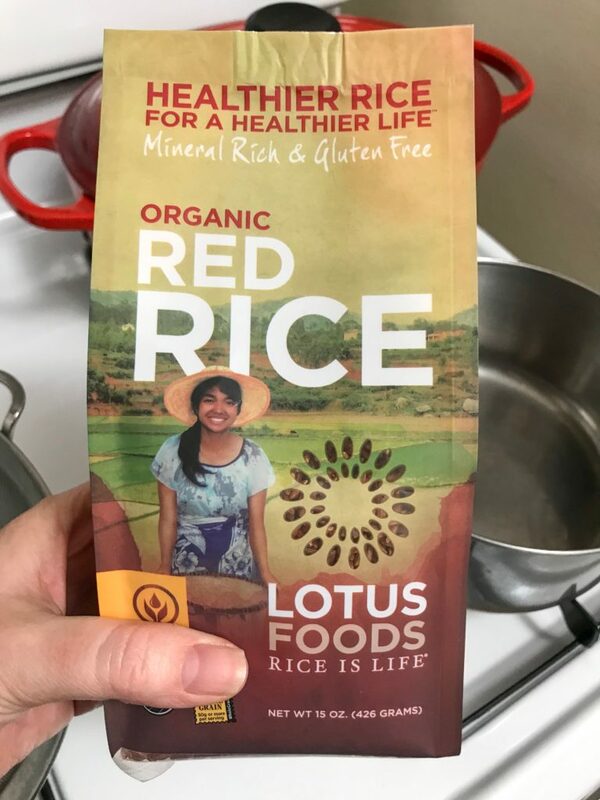 This year, I found the perfect recipe printed on the flyer that comes with my Farm Fresh to You delivery! No joke. I don’t think I will ever cook gypsy peppers or other sweet peppers any other way. Thank you FFTY!! I made some slight modifications, but here is the original recipe. Depending on how many side dishes you are making, you will want at least 1 whole pepper per person. I’d say 2 whole peppers per person because these are SO. DARN. GOOD. 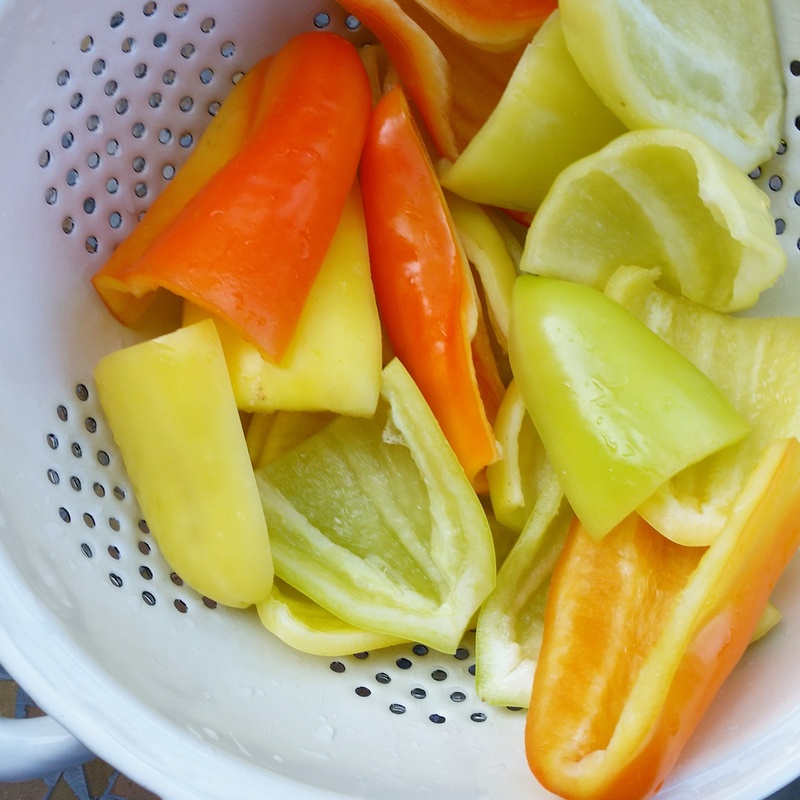 Wash, halve and core peppers. In a mixing bowl (or a gallon size ziplock bag) Toss peppers with olive oil, minced garlic, thyme, salt & pepper. Let sit until you are ready to grill. Grill peppers over a low to medium flame. 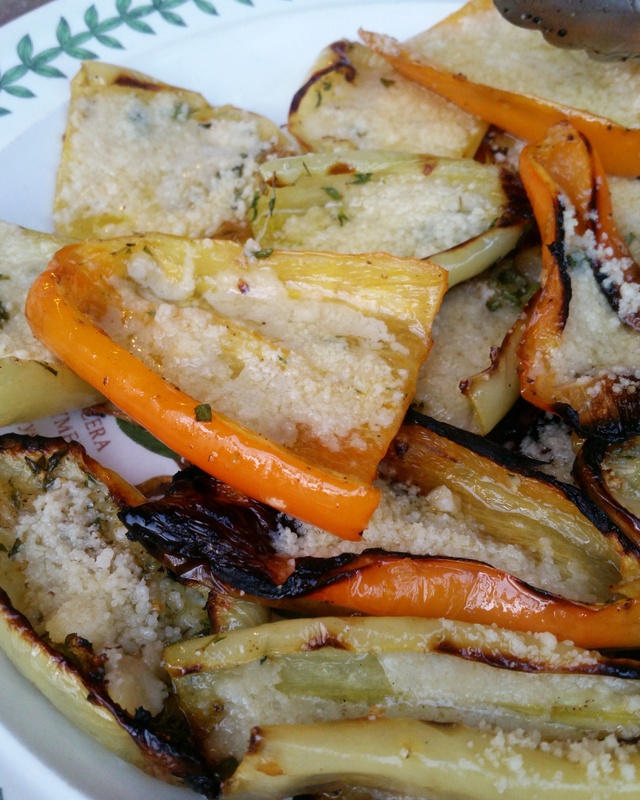 Once peppers are cooked to your satisfaction, add a small spoonful of Parmesan to each half. Let sit on the grill another couple minutes until the cheese has melted. For the finishing touch, squeeze juice from a lemon over the top of each pepper. 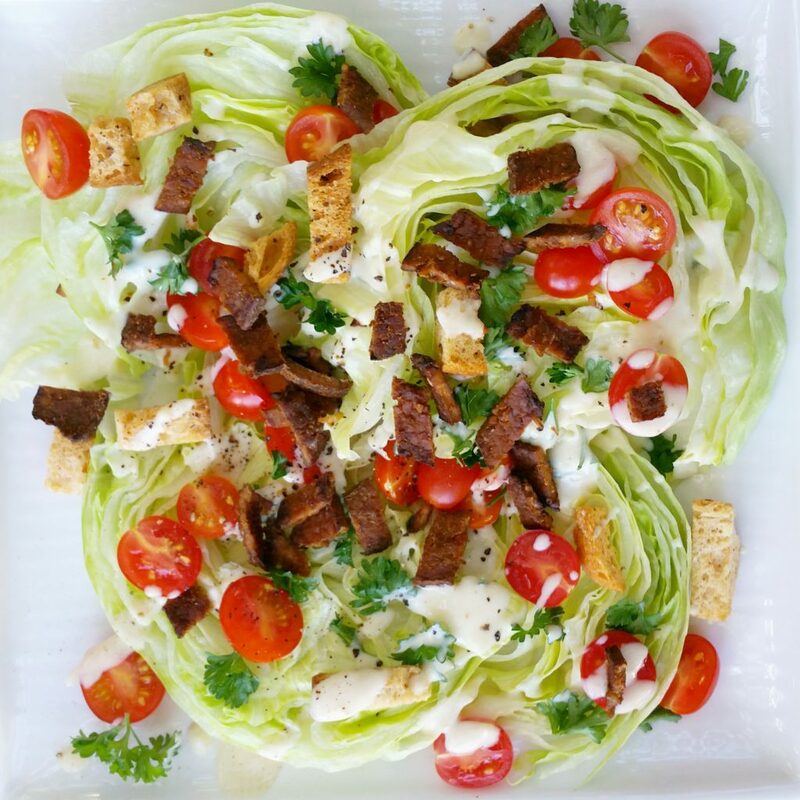 This entry was posted in Appetizers, Gluten Free, Meatless Monday, Side Dish, Vegetarian.